Infosys is one of the biggest IT tycoons in India. Infosys is a global leader in consulting, technology, and outsourcing solutions. But have you fully made your mind on starting your career with Infosys? Being fresher, we are more concern about starting our career with a good and fruitful start that can help us in the future or in a long run. We come across many circumstances where we get an option to choose from several companies as which company we will be joining. Few students skip the small start-up companies and wait for large companies to come to their campus. They join the recruitment drives conducted by only big MNCs. So is the case with Infosys as it is a big brand. I will not share my views whether to go to start-up companies or MNC companies in the initial stage of your career as of now. I will write another article listing my conclusion for same. Now sticking to the article, Infosys is the mass recruiter company. It recruits a large number of fresher not only from CS/IT background but also from Non-CS/IT background as well. I am listing down the Pros and cons for starting the career with Infosys. It might vary with individual experiences. Infosys provides the best training that you can ever undergo (My personal Experience). Infosys has made a large training campus at Mysore to train freshers. It provides training on various technologies with an excellent study material, well created PPTs and online learning tools. Less stressful work so you can learn other technologies side by side if you wish. 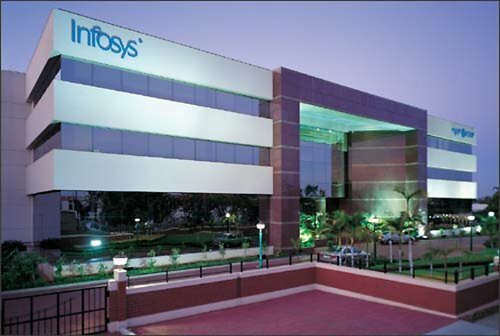 Infosys provides Good facilities and has a good infrastructure to maximize the use of all possible options. Infosys conducts training programs on various new technologies side by side. You can register yourself and learn new technologies that you want. If you have plans for higher studies then Infosys is good for you. Work pressure is less so you can study and prepare for MBA or MTech and give exams. Finally, the major point is Infosys has a brand value and a good fame. It can help you to get a good package in small companies if you are good in your domain. 1) The Project distribution is random. No matter in which technology you are interested or good at, you will be given project on the random basis. 2) No challenging work to do. No hard coding. If you are a keen coder or love coding, Infosys is not for you. Most projects are Support & Maintenance basis. 5) You need to read/practice your favorite domain at your own to brush up your skills if you want your career in that domain only. Thus, moving out of Infosys to get a job in your domain in other company. 6) You have to maintain average working hours of 9.15 yearly. I hope this article will be beneficial for you to give a better picture. Please do share your feedback or experiences in the comments to help other people. Without any sense of judgement, you have very clearly stated facts! And that too on your individual basis. I have seen people get frustated and agitated working in service based companies. They then come on to social media to release their inner dissatisfaction and frustation on the companies. They do this in the name of “Guiding Freshers” but they actually bash the freshers and these companies instead of giving honest, useful and relevant opinions. Thanks for your good and pleasant work! Keep doing same. Can i know timing for our training? Yes, Infy will assign you the project in the last of your internship. You can show the same project in your college. In our case, we also got some grade forms from our college that had to be filled from Infosys and we did so. Also, yes there will be a 1-2 weeks training after your internship for some generic things. And after the internship will there be training ? Have a great day Sir……. Sir, I am in my final year and my final year project is left which I am aiming to do in a company. Currently I have an offer from a startup and an offer from Infosys. Which one to go with?? Please help. It totally depends on Business Requirements and Mysore Campus Batch capacity. But tough they have told, your internship should get started from May itself. hello admin, I am mtech student and got place in campus placement drive held in punjabi university patiala on 26 september 2014. We got a mail in jan from infosys for having internship at mysore but due to some technical issue at company end, internship of mtech students were postponed and said that it may happen any time from may onwards. Now my question is that when will we get our joining letter as we are about to complete our research work(theses). No, Infosys does not provide training certificate. But if you joined internship then it provides internship certificate after successful completion of internship. I was curious to know if Infosys provides training certificate to the trainees after successful completion of the training period.